International Parish Mass will be celebrated on Sunday 17th June 2018. 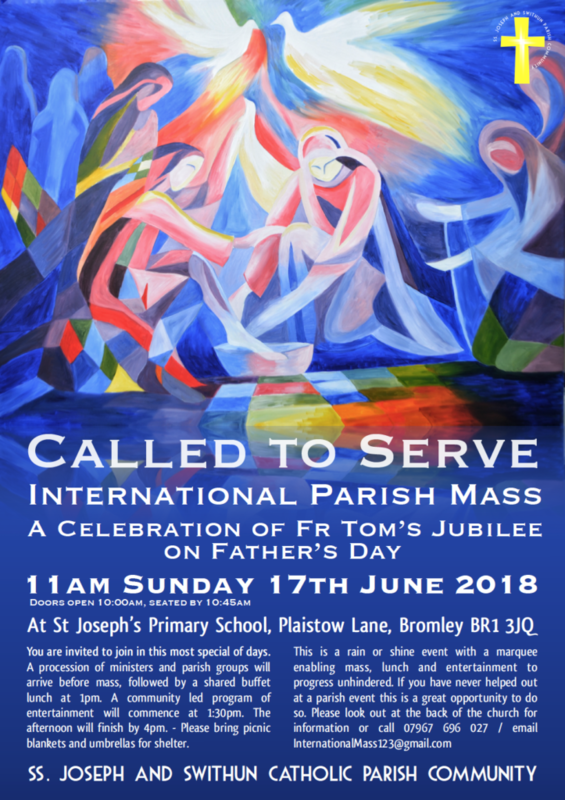 This annual special Mass for parishioners of St Joseph’s and St Swithun’s churches will be held on Father’s Day in the grounds of St. Joseph’s Primary School. We will also celebrate Fr Tom’s Golden Jubilee at this Mass. We invite all SS Joseph & Swithun’s parishioners, their families, and friends to help make this a memorable celebration. You can download the official International Parish Mass poster here.